Nice tour with helpful travel host. Though it took a long traveling time to Amed, it is really worth for such a beautiful sight seeing! The trip is highly recommended to all of you! 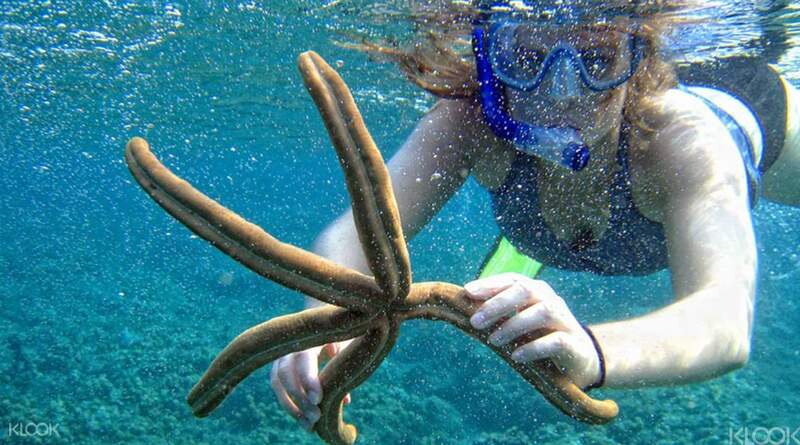 Looking for a snorkeling trip in Bali? 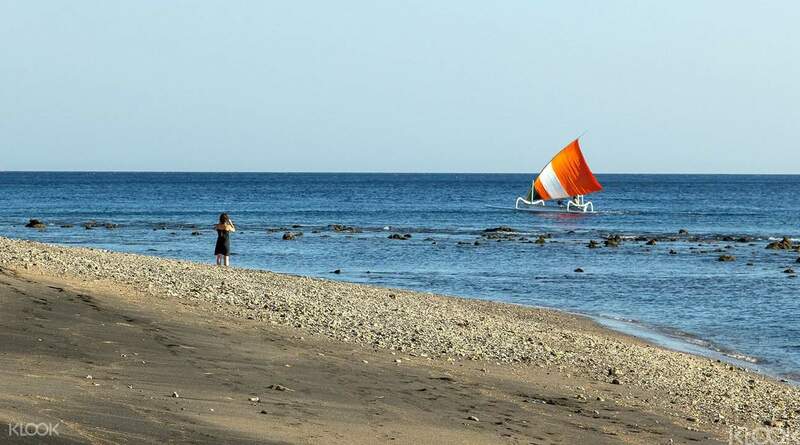 Allow us to recommend this snorkelling adventure in Amed, lying at the eastermost tip of the island, and recently developed as one of the most famed diving sites in Bali. Jump right in and greet the colorful inhabitants of the sea. With clear and uncontaminated water, you are able to glimpse every corner of this underwater paradise. 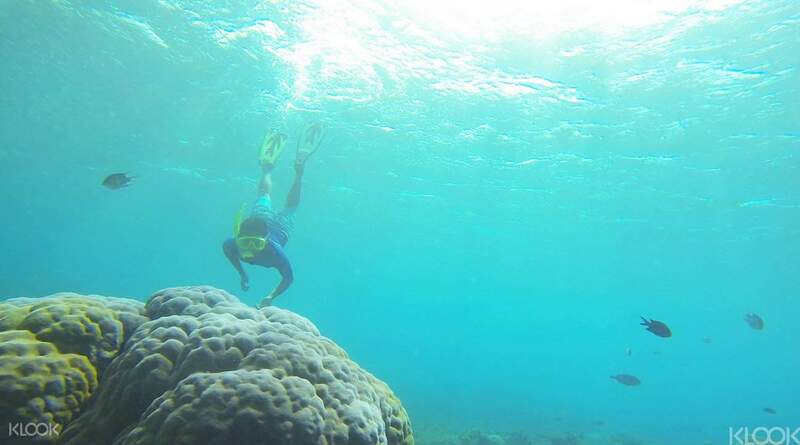 Two amazing snorkeling sites await: a Japanese shipwreck where you'll get the rare opportunity to explore a wreck without needing a dive certificate to delve into the deep; and Pondok Vienna Beach, home to a huge soft coral reef and the playground for a variety of tropical species. 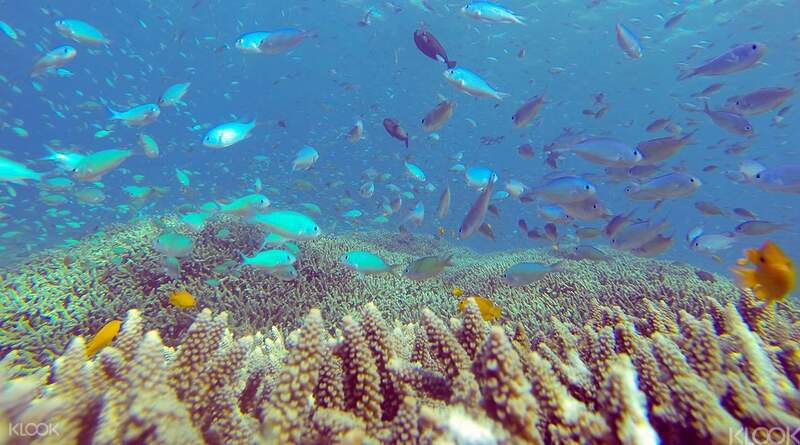 So, pack your goggles, snorkel and fins, and immerse yourself in Amed's underwater paradise! Nice tour with helpful travel host. Though it took a long traveling time to Amed, it is really worth for such a beautiful sight seeing! The trip is highly recommended to all of you! Nice tour with helpful travel host. Though it took a long traveling time to Amed, it is really worth for such a beautiful sight seeing! The trip is highly recommended to all of you! Guarding great! As i was car sick there they takevare me a lot, even i can do too much in the trip, she helped me took video of the whole progress, really great experience! recommend ! Guarding great! As i was car sick there they takevare me a lot, even i can do too much in the trip, she helped me took video of the whole progress, really great experience! recommend ! Me and my friends were very enjoy this trip to do snorkeling under the sea of Amed. It was quit far away from the city of Bali which took us around three hours to get there. However, it was worth to took a long hours of travel to swim under this gorgeous sea and watch lots of beautiful species. Me and my friends were very enjoy this trip to do snorkeling under the sea of Amed. It was quit far away from the city of Bali which took us around three hours to get there. However, it was worth to took a long hours of travel to swim under this gorgeous sea and watch lots of beautiful species. The team was very nice to bring us to snorkel at 2 different sites. They introduce the different species at different parts of the beach and we finished the tour on time. The team was very nice to bring us to snorkel at 2 different sites. They introduce the different species at different parts of the beach and we finished the tour on time. 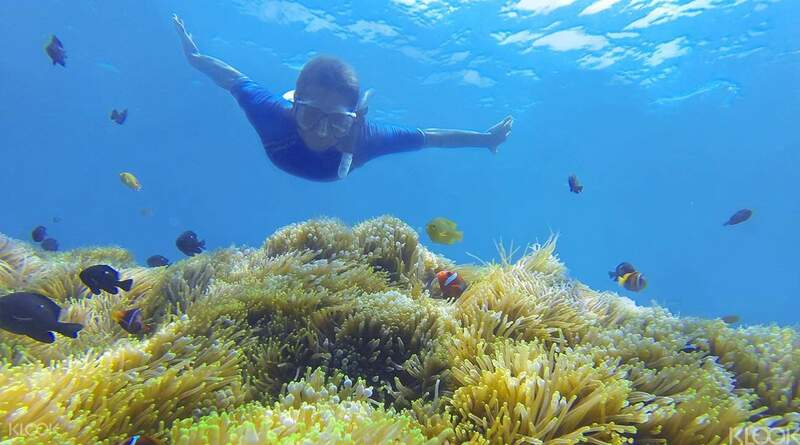 Visiting Bali without snorkeling is a miss. Had ample time to snorkel and just being in our around the water. Great experience. Visiting Bali without snorkeling is a miss. Had ample time to snorkel and just being in our around the water. Great experience. A pleasant beach. Quiet and peaceful. Weather is good and snorkeling was clear. The journey to Amed was winding and tough with those with motion sickness. Overall a good experience and enjoying snorkeling. A pleasant beach. Quiet and peaceful. Weather is good and snorkeling was clear. The journey to Amed was winding and tough with those with motion sickness. Overall a good experience and enjoying snorkeling. Vienna Beach is very very beautiful place for snorkeling and the weather is so great!! Thanks god!! Vienna Beach is very very beautiful place for snorkeling and the weather is so great!! Thanks god!! Trip was not even done. Did not contact me, Klook was uncontactable too. Received confirmation with timing but waited more than an hour but no show up either. Trip was not even done. Did not contact me, Klook was uncontactable too. Received confirmation with timing but waited more than an hour but no show up either. I did not really have much money. It took me a while to get to Ahmed, but when I was asleep I did not know it at all. At first I went to the shipwreck point, but first of all I thought, "Oh, I was really good", and it was good to snorkel shallow and safe at the second point. It was a trip that introduced peaceful and beautiful places that I reserved for four days in the very place where I stayed in Ahmet and Beach was right in front of me and very close to Sunset Point (lunch was leisurely). After lunch, I could snorkel the original finish, but after two rounds I could not get tired of it. It was still very good, and above all, Willy who guided it together was really kind, calm and much happier. Whether you are coming to Ahmet or stopping at Ahmet elsewhere and coming back, I think it would be a good trip. However, it was a little uneasy because I contacted you the other night, but I was kind enough on the phone, and I was very impressed with our position! 정말 돈이 아깝지 않았어요. 아메드까지 오는데 시간은 좀 오래걸렸지만 자면서 오니까 전혀 먼줄 모르겠더라구요. 처음에 난파선 포인트 갔는데 우선 든 생각은 “아 진짜 잘 왔다” 였구요, 두 번째 주므륵 포인트에서 얕고 안전한 스노클링하는 것도 좋았어요. 저희는 아멧에서 아예 묵게 되었는데 비치가 바로 코앞이고 선셋포인트랑도 매우 가까운(점심도 여유롭게 먹었던) 바로 그곳에서 4일이나 더 있기로 예약할 만큼, 평화롭고 아름다운 곳을 소개해준 여행이었습니다. 점심먹고 난 이후에 원래 마무리 스노클링을 할 수도 있는데 두 군데 돌고 나니 피로해서 못하겠더라구요. 그래도 매우 훌륭했고, 무엇보다도 함께 가이딩을 해준 Willy 가 정말 친절하고, 차분해서 훨씬 더 행복했네요. 아멧으로 올 예정이든, 혹은 다른 곳에서 아멧들렀다가 다시 돌아오든 좋은 여행일 것 같아요. 다만 바로 전날 저녁에 연락을 주어 좀 불안했던 감은 있지만 전화로도 충분히 친절했고, 저희 입장을 많이 배려했어서 좋았습니다!